We have different rates for different sized RVs and we offer discounted rates for Full Season stays. If you are looking for a campsite RV park, then Leapin’ Lizard is the ideal choice for you, because we are located right next to two state parks. 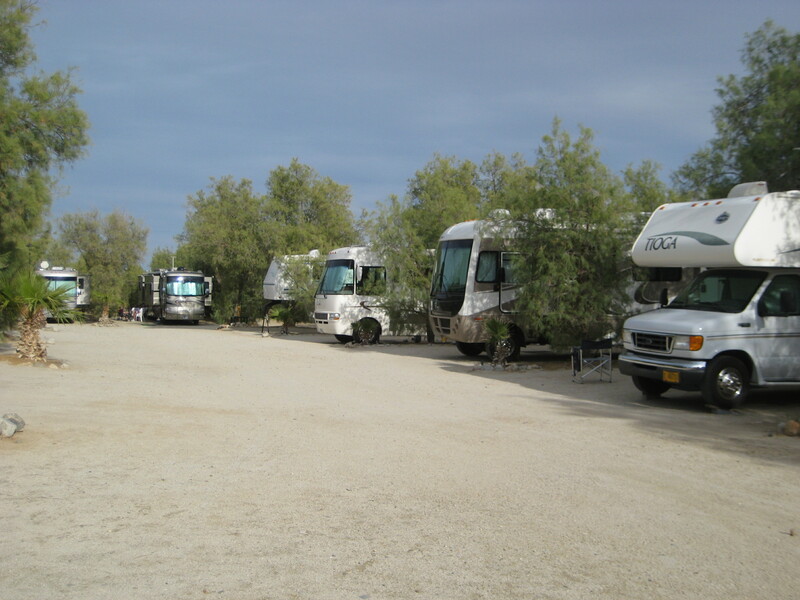 The California desert is one of the most beautiful places in the world, and while you can pay our rates for your campsite RV vacation, you are welcome to use our RV park as a storage facility for your trailer or toys while you are off exploring the rest of the area around us. RV Rates: All sites are full hook-up and back in. No pull-through sites. Sites 38 through 55 are smaller – they are for RV’s that are 26 ft. and under. This size RV will be assigned sites 38 through 55 for week and month-long visits. Cash, check (no third party) or money order. All Sites have full hook-ups. All Sites have a picnic table. RV rates are for 1 RV plus 4 persons, 2 vehicles and 2 pets. Amounts above these: extra charges may apply. Rates are subject to change. No cable available in area, satellite and antenna reception only.